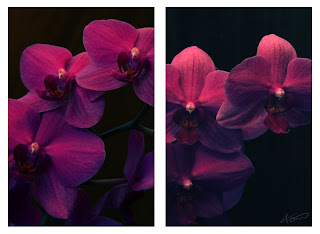 Orchids - Cherry Colors - Cosmetics Heaven! I am in love with orchids. They are my favorite flowers. I had a couple of them, but when they lost their flowers, I gave up on them. But not on my last one. Nope! It blossomed for about four months. Now after a couple of months without its flowers it finally started to grew again! Now my collection needs to grow! I want lots of orchids in my room and then in my future house!